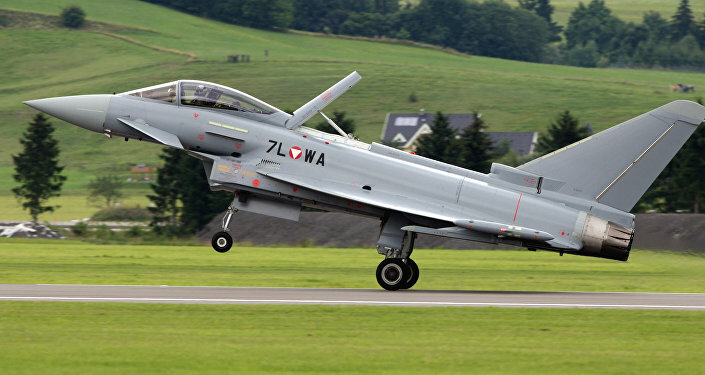 The need for a new British fighter jet program arose after the UK was excluded from a European aerospace project. Defense Minister Gavin Williamson announced on Monday that the UK will invest £2 billion (around $2.7 billion at the current GBP/USD exchange rate) in the development of a new fighter jet by 2025, according to the Reuters news agency. He officially unveiled plans for the development of the Tempest warplane at the Farnborough International Airshow today, alongside a full-size model of the proposed stealthy fighter jet, which is set to enter service in less than two decades. The warplane will be able to carry out military operations either manned or unmanned, and the program aims to ensure Britain remains a “world-leader in defense airspace and industry” post-Brexit, the defense minister said. Prior to Williamson’s comments, an informed source told Bloomberg that the project is being executed as a joint venture (JV) by a consortium of military contractors, including BAE Systems and Leonardo SpA. The UK is reportedly negotiating the entry of other defense giants into the JV, including Sweden’s Saab AB and a number of Asian firms.